California's statute to confiscate all magazines over 10 rounds has been permanently enjoined by the United States District Court for the Southern District of California. The opinion was written by Judge Roger T. Benitez. Previously, Judge Benitez had issued a preliminary injunction against the confiscation law, and the preliminary injunction was upheld by the Ninth Circuit, as discussed in this post. Today's decision follows cross-motions for summary judgment, and makes the injunction permanent. The next step in Duncan v. Becerra will be an appeal to the Ninth Circuit by California Attorney General Xavier Becerra. Covering all bases, the opinion analyzes the confiscation law under a variety of standards of review. First is the standard favored by Judge Benitez, what he calls "The Supreme Court's Simple Heller Test." In short, magazines over 10 rounds are plainly "in common use" "for lawful purposes like self-defense." Ergo, they may not be confiscated. The analysis is similar to then-Judge Kavanaugh's dissenting opinion in the 2011 Heller II case in the D.C. Circuit. The Duncan opinion then examines the confiscation statute under various levels of "heightened scrutiny": categorical invalidation, strict scrutiny, and intermediate scrutiny. The confiscation statute is found unconstitutional under each of these standards. Under the various heightened scrutiny tests, the government bears the burden of proof. The opinion explains in depth why the evidence put forward by the California Attorney General does not come close to carrying that burden. The core problem is that the Attorney General's evidence, which relies heavily on expert declarations, is speculative, shoddy, or unrelated to the statute at issue. Nor are there any "longstanding" laws that create a tradition of banning magazines over ten rounds–notwithstanding the Attorney General's efforts to invent such a tradition based on state machine gun controls enacted in the 1920s or 1930s. 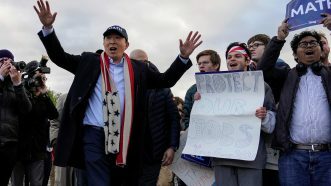 The Attorney General's argument that law-abiding citizens do not "need" magazines over 10 rounds is rejected as directly contrary to Heller, which defers to the choices of the American people, not the government, about what is appropriate for self-defense. Several incidents detailed at the beginning of the opinion describe the harms suffered by crime victims who had insufficient defensive ammunition capacity. Moreover, defense against ordinary criminals may be a leading purpose of the Second Amendment, but it is not the only purpose. "Today, self-protection is most important. In the future, the common defense may once again be most important. Constitutional rights stand through time holding fast through the ebb and flow of current controversy." The government may not respond to bad political ideas by censoring speech, nor respond to crime waves "with warrantless searches and unreasonable seizures. Neither can the government response to a few mad men with guns and ammunition be a law that turns millions of responsible, law-abiding people trying to protect themselves into criminals." Under heightened scrutiny, laws restricting constitutional rights must be "tailored"–in strict scrutiny, "narrow tailoring"; in intermediate scrutiny, "a reasonable fit." But the confiscation statute "is not tailored at all. It fits like a burlap bag. It is a single-dimensional, prophylactic, blanket thrown across the population of the state." The confiscation statute cannot be saved by invoking the mantra of "deference." First of all, the confiscation law was enacted by ballot initiative, and not by the California general assembly. No deference is due to ballot measures that infringe constitutional rights. Even if the statute were a legislative enactment, the statute is not proven to be constitutional simply because the government offers some evidence. Some courts in Second Amendment cases have adopted an ultradeferential "some evidence" standard, but Judge Benitez disagrees. As he points out, the key case cited by advocates for ultradeference is the Supreme Court's Turner II decision, upholding certain congressional mandates on cable television providers. The Supreme Court majority in Heller rejected Justice Breyer's dissent urging Turner deference in Second Amendment cases. And even if Turner were the controlling case, the Turner Court was hardly lax in its judicial review. The Supreme Court "extensively analyzed over the course of twenty pages the empirical evidence cited by the government, and only then concluded that the government's policy was grounded on reasonable factual findings supported by evidence that is substantial for a legislative determination….Turner deference does not mean a federal court is relegated to rubber-stamping a broad-based arbitrary incursion on a constitutional right founded on speculative line-drawing and without any sign of tailoring for fit." Congratulations to plaintiffs' attorneys Michel & Associates. While a three-judge panel of the Ninth Circuit lies ahead, and so perhaps do an en banc and the Supreme Court, today's opinion is a victory for serious judicial review of arms confiscation laws. Of course, “ultradeference” is an ultrahigh value for this people’s ballot initiative, but not Prop 8. The correct answer is neither, as all laws must be constitutional regardless of how passed, or their level. 86 pages of second-amendment analysis could have been shortened to one page of fifth-amendment analysis. In which case they would have ordered everybody to sell them to the state at a reasonable price for used magazines. Whereas the second amendment analysis, (Which should have stopped with the Heller analysis, which could have been one or two pages.) protects from that, too. If they’re being confiscated, the price being offered is $0. If you find that a reasonable price, that’s your issue. It’s as artificial a legal definition as “assault rifle” and has no relationship to reality. The term had been changed to “Assault Weapon” to encompass every magazine fed semi-automatic firearm. Now the 10/22 is same as a fully automatic AK-47. That clearly includes guns with non-detachable magazines, e.g. the Garand. The ‘and chamber the next round’ might exclude a blowback or gas operated single shot, depending on who is doing the interpreting. They probably meant to include belt-fed, because of the legislators’ extensive understanding of weapons. The original Gatling Gun was fired via a crank, not a trigger. No I’m not. Gun grabbers have used both terms. Their ignorance is immaterial. “Assault rifle” is a useful term to differentiate a specific weapon category of rifles from other similar ones, like battle rifles. The legal definitions have nothing to do with the technical ones, for either “assault rifle” or “assault weapon”, if that’s what you are getting at. But the term itself is meaningful.
? It must be capable of selective fire [Semi- / Fully-Automatic or Semi-Automatic / 3-Round ‘Burst-Fire’].
? It must have an intermediate-power cartridge: more power than a pistol but less than a standard rifle or battle rifle, such as the 7.92?33mm Kurz, the 7.62x39mm, the 5.45x39mm and the 5.56x45mm NATO.
? Its ammunition must be supplied from a detachable box magazine.
? It must have an effective range of at least 300 metres (330 yards). Rifles that meet most of these criteria, but not all, are legally not assault rifles, despite all-too-often being called such.
? Select-fire M2 Carbines are not assault rifles; their effective range is only 200 yards.
? Select-fire rifles such as the FN FAL and the M14 main battle rifles are not assault rifles; they fire full-powered rifle cartridges.
? Semi-automatic-only rifles like the Colt AR-15? are not assault rifles; they do not have select-fire capabilities.
? Semi-automatic-only rifles with fixed magazines like the SKS are not assault rifles; they do not have detachable box magazines and are not capable of automatic fire. Technical military definition of “assault rifle” is one thing. The new Washington State law uses the GCA definition of semi-automatic rifle to class any rifle not a manually loaded single shot or a manually operated repeater as an “assault rifle”. Which is disengenuous & dishonest. While I appreciate your attempt at precision, definitions made by the DoD are not legal definitions. Perhaps they should be, especially in areas related to DoD’s area of expertise, but there is no requirement that they be the same. See, for example, the extensive DoD specifications for a fruit cake and compare it to your grandmother’s recipe. 30 rounds is standard capacity; anything less is neutered capacity. I believe 20 rounds was the original M-16 standard capacity, because 30 rounders lifted the rifle too high when prone. Back in the olden times, when I took rifle training in the mid-80’s, we had 10-round magazines for the training rifles. We also were specifically ordered NOT to move the selector switch to “fully-automatic”, and the penalty for doing so was being sent back to day 1 of basic training. I saw someone do it on our day on the range. We got the good guns in tech school, with a full loadout of 680 rounds. The Army got rid of the 20 round magazines in the 90s. They sent a memorandum telling us to smash them with a hammer and throw them in the trash. It really depends on the gun, doesn’t? 17 rounds is standard capacity for a Glock, with 33 being high capacity. Where as an AR-15 standard is 30, with high being 60. In the end, mag caps serve no reasonable purpose except for making ignorant people feel better. 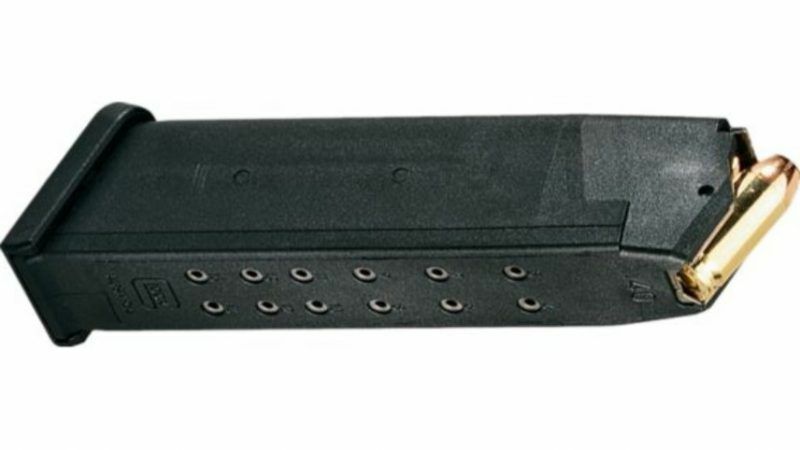 The 17 round magazines are primarily for the full sized 9 mm Glock 17. Full size frame for larger caliber (.45, 10 mm) and compact versions (9mm G19) tend to be 15 rounds. This plays out in David’s CO, with its 15 round magazine limits, where some stores don’t carry the G17, despite its being one of Glock’s top selling guns worldwide. Standard sized magazines for full sized and compact polymer handguns (like Glocks) tend to be in that range of 15-17. My understanding is that this is the largest segment of the handguns sold every year in this country. As noted elsewhere, .45 ACP 1911s typically have 7 round magazines. This is because the rounds are stored in a single stack in the magazines. The innovation with the polymer handguns was the use of double stack magazines, where the rounds are staggered. Doubling of magazine size, along with greatly improved ammunition, are a good part of why 1911s have become essentially a niche market, with polymer double stack magazine firearms becoming the standard duty firearms for police, and even our military, for which the 1911 was originally designed. And ditto for the civilian market – 1911s are great to shoot at the range, conceal fairly well because of their single stacks, but are not very common anymore for guns carried every day. Let me add that I know about the CO magazine problem because I have bought several handguns in the state, and I was surprised to find that the big chains weren’t carrying Glock 17s, despite their worldwide popularity. The big chains would carry Glocks with 15 round magazines or smaller, just not the ones where 17 rounders were standard. You had to go to independent stores that sold them with their magazines disassembled to buy them. Interestingly, despite a significant majority of handgun magazines being legal in CO with their 15 round magazines, a number of online vendors won’t sell any magazines to people with CO addresses because 16+ round magazines are illegal to purchase. 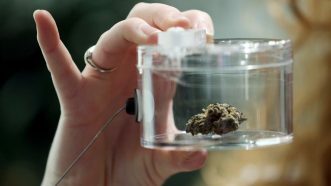 Easier to just throw the state into the “restricted” category than to try to figure out exactly what is legal and what is not. Now with Dems having taken over both houses in the legislature, as well as retaining the governorship, I expect that this anomaly will soon disappear, as that state follows CA into their insanity of trying to redefine what magazine sizes are in standard use under Heller by banning what the rest of the country defines as standard sized magazines. Double stack mags with 13 round capacity go back to the Browing Hi-power, from about 1914 or so. FYI, 1911-style pistols chambered in .45 ACP with double stack magazines are plentiful. 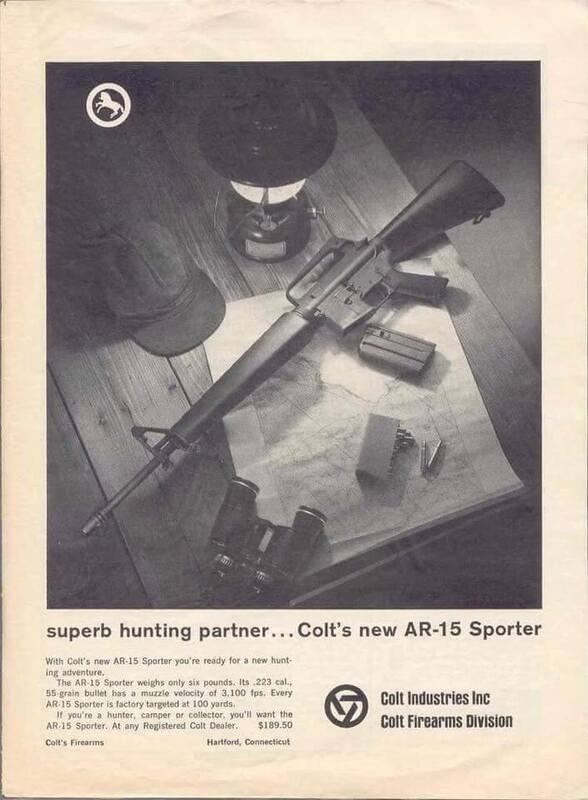 When Colt began marketing the AR-15 Sporter? back in 1963 they came with a 20-round magazine “blocked” to 5-round capacity. The point of selling blocked magazines was to comply with state hunting regs that limited magazine capacity to five rounds. Last I checked, my home state limited semi-autos used for hunting protected game animals (licensed hunting with game tags) to five rounds; if I were hunting vermin like feral hogs, no magazine limit. I think the magazine limits for hunting had more to do with the heyday of commercial market hunters wiping out game animal populations than abuses by recreational hunters. I watched one of the game-warden shows on Animal Planet. For hunting, there was a limit on how many shells a shotgun could have. They found somebody who didn’t know about the restriction, and had a shotgun that could hold too many shells. So the warden told him to take a stick and cut it to length, to limit how many shells his shotgun could hold. 10 is ‘High Capacity: because the Progressive vermin who use it fear that an angry citizen might use one to double-tap all four of his bodyguard/goons and have enough left over to finish him. Be careful about that eliminationist rhetoric, you are getting into woodchipper territory there. Because someone in desperate need of a rectalcraniectomy decided it should be so. Someone suffering from that dredded Progressive disease known as CRIS (Cranial-Rectal Inversion Syndrome)! I wonder how long it will be before California cops start shooting people with >10 rd magazines, because they “feared for their safety, or the safety of others”? Given that in California people get shot by police while sleeping in their cars, I’m guessing not very long. I wonder how many rounds the cops will have in their guns…. I’ve never understood why first responding police should be exempt from these regulations such as this and “smart guns”.
? …are (supposedly) highly trained so won’t waste shots – the average citizen can’t be expected to be that highly trained.
? …usually wear bulletproof vests today – few average citizens do.
? …almost always have a radio they can use to get assistance ASAP – the average citizen may have a phone on them followed by a long discussion with 911 (see how many cars respond to a “officer needs assistance” radio call vs. a citizen 911 call).
? …know that most criminals won’t kill them because the effort put into tracking them down will be enormous – average citizens rarely enjoy this (look at the massive multi-day police response and publicity when a officer is ambushed and killed by an unknown assailant compared to what happens when the average citizen gets whacked in their own home by an intruder).
? 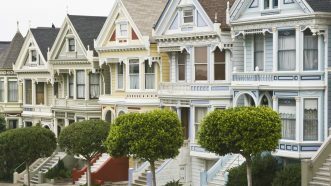 …generally can wait for backup – the average citizen in their home often can’t do so. The point of gun control laws is to limit the number of innocent people a shooter can kill. Keeping automatic weapons away from them, for example, limits them to killing people once per trigger pull, and magazine limits force them to stop and reload, which gives the would-be victims a little bit more time to get away or at least find cover. But (says the theory) cops don’t shoot at innocent people, so there’s no need to protect innocent people from them with limits on their weaponry. That’s the theory at least…. In practice, you need to rely on criminals to turn in their guns. Which seems…misguided. In 2012, Venezuala banned private gun ownership. To reduce crime violence of course. They had 10,000 people murdered in 2012 with firearms. After the gun ban, the number soared to over 28,000 murdered with firearms in 2015. To be fair, that’s Venezuela, which is a third-world shithole. Can I just ask: What kind of self defence requires more than 10 rounds? Self defence against a school full of kids? Please read the opinion. There, are cited multiple examples of self-defense incidents which required more than 10 rounds. Besides, there are two issues for you mag grabbers: 1. A single shot does not necessarily disable an attacker; and 2. There may and usually are multiple attackers. Thiscanti-gun cultist neber heard of the L.A. Riots. I agree with everything I’ve read in the opinion so far, but the examples are not particularly compelling. In the first example, a .22 was a very poor choice of weapon for self defense and the opinion doesn’t even say how many shots she fired — just that she “emptied the single pistol at one attacker”. She also wasted two or more “warning shots”. Had she had a proper M1911 with a ten round magazine (and perhaps one round in the chamber) and been trained, she might have prevailed. The self defense was unsuccessful, but it’s not clear that a few more .22 rounds would have changed that. In the second example, enough ammo was available to kill one intruder and to drive the others away and, again, there is no indication in the opinion how many shots she fired or if she even emptied the firearm of ammunition. The self defense action was successful. In the third example, the victim used a .38 caliber revolver and fired six rounds (likely the full capacity of the revolver) hitting the intruder five times. This injured the intruder who fled. Obviously she couldn’t have had a 16 round “magazine” for her revolver and I don’t believe anything in the law (vs. physics and engineering) prevents “high capacity” revolvers. I was hoping for better examples. The best example, which of course I hope never happens, would involve a homeowner who was armed with reasonable caliber semi-auto with 10 rounds in the magazine and 1 in the chamber (perhaps because they lived in Sunnyvale California which enacted a “high capacity magazine” ban some years ago) and consumed all rounds and killed or disabled three of four intruders but ran out of ammo and got shot themselves by the fourth intruder. However, all in all, good news. My (really, really) cheap (plastic!) .22 magazine for my Ruger Mark II that I can actually cram 11 rounds into is protected from the sledgehammer for at least a while longer. Also, a .22 may be more appropriate for some people with less physical arm strength, in order to ensure better aim. 3. You’ll note the single intruder still survived. 1. IMHO, “warning” shots are generally ill-advised in home invasion defense. A warning shot helps identify your location, gives the intruder the chance to deploy their deadly force or take cover, generally increases the risks to innocents (both within the house and outside) of “stray” bullets, and uses one or more rounds that you might dearly wish you had in a few seconds (no matter how many rounds you started with in the gun). Also, if you fired a “warning shot”, it suggests that you didn’t think the situation justified deadly force – else why didn’t you use it initially? 2. We don’t know that she had a fully loaded mag so we don’t know how many rounds she fired even if she “emptied her gun”. Unfortunately, the best I can find in a news report (https://wapo.st/2uBCnn3) is that she fired “multiple rounds”. On the video in the link (https://wapo.st/2JZYmim), I can only count her firing perhaps eight shots (six visible from Cam 4 and three from Cam 5 – but based on location and timestamps, the last one of these is replicated on Cam 4) which is within the mag limit and the last five were just gilding the lily – she was firing at assailants who were on the run and outside the house. 3. Yes, the goal is to stop the threat — which was done with less than ten rounds. The ban is stupid and unconstitutional — I was just hoping for better real-life examples (which probably would require the “good guy” being injured because they ran out of ammo after 10 or 11 shots). I don’t think a reasonable 2nd Amendment jurisprudence would be based on the self defense choices of a few people who fancy themselves above average at self defense. Indeed, no other right works that way. We set rights,generally, at what the bottom 10% needs in order to properly utilize them. If we didn’t the federal prison population would be 10x+ what it currently is, because of the NSA alone. If we got to exploring the 1st amendment using your high standard, a hundred million more would be in jail. If we applied your logic to the right to vote, the majority of American citizens who currently vote would not be eligible to vote. That is kinda a problem with your logic, no? Look at police shootings. Such “highly” trained individuals, in highly stressful situations, still miss a crap ton, even at close range. The goal is to not only stop the threat, but to be able to continue to control the situation after the threat is stopped. Besides… Self defense is not the only consideration when it comes to the 2A and weapon restrictions. If you follow the links to here you’ll find “But when he saw she’d already emptied out bullets in one gun”. You can watch the video here. She fired the gun until it was empty (you can see the slide lock back). There were three armed intruders (who were all armed with with semiautos). A little fuzzy on our firearm specifications? 7 is standard, 8 is available, 10 is specialty and not particularly common as they hang way out. Many manufacturers offer a 1911 with a double stack magazine. A counter-issue is who’s standing behind your misses. If you need 10 rounds to score two hits, and you’re in a desolate wasteland, the primary issue is running out of ammunition. If you’re in a crowded suburb, though, the neighbors… might prefer that you hold your fire. Not because they want the bad guys to win, but because if they have to choose between you being shot and they or members of their family being shot, they’ll pick you. 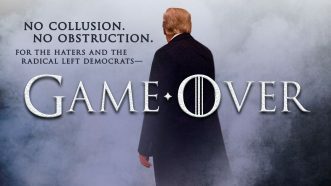 What did you think of the decision’s discussion of that very issue? Well, then, it’s a good thing that nowhere in California would ever ban hollow-point ammunition, which will expend most of its energy on walls and such, becoming a minimal threat to anything on a miss. Self defense in general, and against more than one attacker in general. Given a stressful situation, probable bad lighting, imperfect ability to grip, and other facts, there is a high likelyhood of missed shots. Then add in the fact that rarely does a single shot kill, much less disable, more than one shot will be needed to stop the threat. Then add in the potential for more than one attackers, needing more than a low capacity magazine is highly needed. In the end, banning standard capacity magazines will do nothing to stop crime or mass shooters (who can plan there attack and either don’t need a lot of rounds [the former] or can bring lots of low capacity mags [the later, like the VT or Parkland shooters]). There is no good defense of them. Lone mass shooters that are stopping to change magazines can be (and have been) stopped by unarmed persons. Never really looked into it, but I suspect they are more frequently stopped by armed persons. But that’s beside the point, are you seriously arguing it’s better in the abstract for an unarmed person to confront a mass shooter? Sure, but they tend to target unarmed ones. Giving unarmed persons a tiny sporting chance feels better than giving them nothing. Yes, you’ve wandered off the point, a bit. I’m contending that if I, personally, have to confront a mass shooter, I’d like him to be out of ammunition (best case), or having to change magazines (second best) at the time of confrontation. I mean, a better best case that the mass shooter getes stopped from being a mass shooter before the first shots are fired, but I’m a bit unclear on how you get there and still allow adults to have the freedom to have whatever weapons they like. So, if I’m forced to confront a mass shooter, I’d prefer to be armed at the time, and for the shooter to not know I’m there (aka “tactical surprise”) You know, just the way it happens in the movies. If I’m unarmed, I really, really want whatever advantage I can get, and the shooter having to stop to reload would be something I’d rather have than not have. I think one big flaw to your argument about a potential shooter having to change magazines is assuming that the criminal psychopath would have actually scrupulously adhered to the CA law. So the only party who would likely have had to change magazines would have been the law-abiding armed victims. You’re assuming that every future mass shooter already has his weaponry assembled? I’m actually extrapololating from a mass shooting, in Eugene, OR. The unarmed took out the shooter, because he had to stop to reload. No, I’m assuming that, whatever happened in OR, that the CA law is, in addition to being unconstitutional, stupid and ineffective because those committing crimes don’t follow laws. It can take an experienced shooter a few seconds to change a magazine. It can take an expert less than a second. Most mass shootings do not take place using “high-capacity” magazines. Instead, the shooter just reloads, because it is very difficult for someone in cover or a safe distance away to charge and restrain a mass shooter in just a few seconds. Relying on the bad guys to be incompetent is not wise. In a highly stressful & dynamic situation that’s wishful thinking & only viable in the movies. Relying on luck when the police are minutes away when seconds matter is a terrible idea. In the sense that it actually happened, I guess. It’s worked for me so far. I’ve not yet been in the same place and time as a mass shooter. I imagine most people have had the same luck. I may or may not be wise, though I prefer to believe more on the “yes” side, but the “only viable in movies” tends to be a problem with folks on the other side. Or just drops one weapon and picks up the next. Did you see the episode of Mythbusters where they tested “Doom”? This was for 1994 to 2013, so there may have been some since then. 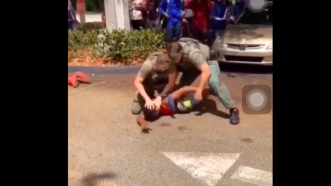 There have been cases of unarmed people overpowering shooters when the gun jammed, e.g. the French train attack in 2015, or cases like the Seattle U attack where the defender just moved fast, but those aren’t affected by magazine size (other than that some very large mags aren’t as reliable as normal ones). And? They are better stopped by armed people. And your point is irrelevant anyway. Mass shootings are rare. I don’t know. Why don’t you ask the cops who were exempt? Or the retired cops who were exempt? Can I ask you to mind our own business? The Virginia Tech killer murdered 35 with pistols with 10 shot magazines. In self-defense I was indoctrinated to block the weapon (gun, knife, tiretool, etc) and take out the man. The man is the killer, not the weapon.Blocking the weapon and doing a Snoopy victory dance will get you killed. There are 600 to 800 homicides per year by killers using personal weapons (fists, hands, feet, unarmed killers). 350 to 400 per year by killers using rifles of all identified types. Magazine fed rifles are a subset of all rifles. You are more likely to be killed by an unarmed assailant than by an assailant armed with a rifle with capacity over 10 rounds. Banning magazines over 10 rounds is as protective as banning alcohol, marihuana, comic books, or Beatles White Albums, it is symbolic voodoo criminology. instead of “asking” why not go out and experience for yourself? Surely, even in Europe, you have an opportunity to go to a range and shoot. Run around the block three or four times, come back and immediately pick up a six round gun and shoot it at three different targets. Post and tell us about your ability to put the bullet exactly where you want it to be with all six shots against three targets. Fighting off three attackers, each of whom takes two bullets to stop, when half the shots miss because you are shaking with life-critical amounts of adrenaline and the targets are moving. Type the words ‘Oakland’, ‘home’, and ‘invasion’ into the search engine of your choice. My experience is that those most strident in telling others what they don’t need for self defense (and often in a drippingly snide tone) without fail have zero clue what they’re talking about. They crack little jokes they think are witty, but actually just prove their buffoonery. Interesting. I wonder if Eugene will be filing a amicus brief on the side of the state on this one. Good point. But this opinion is a much better worded one than I could ever provide of why he is wrong. Maybe he will be convinced to join the light side. Impossible; it’s a district judge in California. The ruling can only affect California law. It can be cited in cases around the country, but only as persuasive authority. Waste of time. A 9th Circuit panel will reverse, and if it doesn’t, the Court will agree to hear it in en banc, just like they did with Peruta and Young. They’re anti-American traitors that belong in gas chambers, not in judge’s chambers. There’s talk that the CA AG might take this loss, since this ruling is limited to CA and not the other mag-grabber states. The thought is, that when the 9th Circuit overturns this ruling, that sets up a split, which means SCOTUS is more likely to accept an appeal and, now, is more likely to invalidate capacity bans nationwide. The 9th Circuit will have their work cut out for them if they decide to reverse this decision. The trial judge, the traditional trier of facts, determined that the state’s witnesses weren’t credible, and their testimony wasn’t admissible either, as double or triple hearsay. Without any evidence supporting the state’s position, they are going to have a problem reversing on any level of increased scrutiny. Rational basis probably even loses, but is clearly no app,I able to an enumerated fundamental right near the apex of its applicability. Which is to say that they might remand, for a better record, more sympathetic to the state, but reversal itself would probably be problematic, with the trier of fact having determined that there was no admissible evidence supporting the ban and that the state’s experts were not credible. Or, the state might be able to convince them that there were remaing questions of fact, and, thus, summary judgment was inappropriate. But that wouldn’t be easy either. If judges used good faith, I agree with you. But liberal judges have shown that they’re willing to come to the conclusion first, and come up with “reasoning” after. Dave, am I correct in understanding that the judge struck down the whole “high capacity” magazine ban including importing, buying, and selling? No. Not the prior ban on new magazines. Just the confiscation of previously-grandfathered magazines. (a) … any person in this state who manufactures or causes to be manufactured, imports into the state, keeps for sale, or offers or exposes for sale, or who gives, lends, buys, or receives any large-capacity magazine is punishable by imprisonment… (MISDEMEANOR) or imprisonment… (FELONY). This weekend in CA at least is LCM acquisition heaven. Let the stampede to Reno begin! Just don’t insert one into a “fixed magazine” rifle or you’ll have “manufactured” a Ca Assault Weapon. Judge Benitez? A little help with AW Law next please! I have zero objection to “common defense” as an interest that justifies a Second Amendment right, so long as it is also an interest that justifies regulation of the militia. In other words, if our magazine statute has to fall, our registration statutes (which are necessary to ensure that gun owners are available to be compelled into militia service to defend the state if necessary) had better be constitutional. That is awful logic even for a gun-grabber. A state does not need to know who has guns in order to enlist citizens in militia service. In fact, you would want to enlist people who don’t regularly use firearms, as well, if only to provide logistical support for the crack shots. So let’s make sure the state has a full registry of all citizens, including their homes and places of work. Should that list get used by some jackboots to identify people who are not lawfully present in the country, and bring them to justice, I’m sure you will accept that as just a price to pay for ensuring effective regulation of the militia. Of course we need to know who owns what guns in order to coordinate civil defense. You are obviously too obsessed with childish name calling (“gun grabber”, “jackboot”) to argue logically. You’ve obviously mistaken this for the Washington Post comments area. You assert this but don’t substantiate it. I think it’s ridiculous. I can’t imagine a scenario where the government would use a registry of private citizens who own guns other than to confiscate them. Perhaps you can provide a counter-example. The United States, during the Founding era. The idea was, we didn’t need standing military because the armed citizenry could be organized into a popular militia to fight invading armies. Since we don’t need a standing army, we’ll make it difficult for Congress to keep one. We didn’t start keeping a giant standing peacetime military force until after WWII. And they did not have a database of firearm ownership at that time. In addition, a list of potential militia members already exists. It’s called the selective service. No one needs to know who owns what. Worked just fine to pull kids into Nam. That’s the organized army. This is the militia. Yeah, but the solution in some colonies (PA?) was that gown ownership was mandated and everyone had to have 20 rounds of ammunition available so that they could be proficient. That seems better than lists to me. Just as the government of New Zealand has started going door to door based on their firearm registry, to forcibly collect the few firearms still legally in civilian hands. So, yes, pushing a gun registry is “gun grabbing”, because firearm registries are almost always the mechanism utilized to disarm a civilian population. Despite the amazing technology shown on TV crime solving shows, our governments have no idea where a significant majority of the firearms in this country are. And I don’t expect that to change any time soon. No, going door-to-door confiscating weapons is “gun-grabbing”. Requiring firearm registration isn’t “gun-grabbing”, just like requiring mandatory automobile registration isn’t “car-grabbing”, and mandatory ownership records for property isn’t “real-estate-grabbing”, and mandatory record-keeping for manufactured explosives isn’t “dynamite-grabbing”. Requiring shippers to label toxic materials for shipment is… what-grabbing? A gun registry, which is a necessary precursor to implementing universal background checks, is the necessary precursor to confiscation. You can’t confiscate what you don’t know exists. Private gun ownership is ALSO a necessary precursor to confiscation. Are you against that, too? And they don’t need a registry to go door-to-door, confiscating guns. You get to the point where they’re going door to door, confiscating guns, they’re not going to care if your gun is registered or not. They’re going to go to every household in the country? They will have to, since there is no registry and they have no idea where the vast majority of the guns are. I’ve been reading through your comments. Are you trolling or are you really this naive? A registration list of guns is a prelude to confiscation. There are more historical examples of this than I can list. However, if you need a recent example, I point you at Venezuela. Gun registration is a horrible idea. “I’ve been reading through your comments. I started at the bottom and came back up, and every JP comment seemed dumber than the last. If there were enough ransom-note boldings, I’d confuse the guy with Hihn. 1: They haven’t started going door to door ? at least not yet. The existing registry only covers pistols (which no one is currently talking about banning) and a small number of AR type rifles. The existing registry is also notoriously inaccurate. 2: “Few firearms”, we have approx. 1.2 million of them in a country of 4.8 million. That matches up pretty closely with US ownership rates. While the number of gun-OWNERS might be comparable, not the number of guns. Guns outnumber people in the States. Not on the level that sheep outnumber hobbits in NZ, but there’s more of them than of us. So, you would only require registration of firearms for males between the ages of 18 and 45, since they are the ones who are apparently automatically enrolled in the militia? Who is a member of the militia depends on the nature of the threat. There’s nothing “automatic” about it. Er, no. It’s legislatively defined. And legislators are somehow prevented from redefining things when things change? Sure, legislators can change some things, but must do so within the confines of the state and federal constitutions. The constitutional confines don’t change, just because the legislation therein does. Unfortunately, I don’t think there are constitutional grounds for prohibiting gun registration, I think it will have to be up to the people to make politicians pay a political price for registration schemes. That and civil disobedience. Unless of course the same privacy rights that were found in Griswald and Lawrence apply to guns. There is also a good ex-post facto argument against registering guns you already own. There is an good argument that congress could ban the states from registering guns because it might discourage gun ownership and both impede commerce, and Congress’ responsibility to arm the militia. Ultimately, the best way to get politicians to stop talking about limiting gun ownership is to adopt and follow a system that limits access for people who misuse them. You’ll still have a small population who argues that nobody should have nothing, never, but nobody will pay them any attention. Clinging to a system that allows people who misuse their weapons to have access to them is going to keep producing people who want them limited. — noted liberal socialist communist anti-gun nut Robert A. Heinlein. Disagree. You are essentially claiming that imposing laws on the law abiding that criminals, by their very nature, are likely to ignore, will somehow magically prevent politicians from traveling down the path of gun registration, followed by gun confiscation. See A-2. And get lost. California has such a system and they keep passing more and more hoplophobic laws. And the crime rate isn’t any better than the surrounding freer states. Also personal freedom and personal responsibility go hand in hand. Collective freedom and collective responsibility are oxymorons. There is really nothing in law or constitution to require tying relaxing magazine restrictions to requiring registration. On the frontier, people trained with what they had at home whether it was a Brown Bess musket, a Pennsylavnia rifle or a fowling piece (bird gun). The few who showed up for militia muster without a personal military grade weapon were provided a loaner from the militia inventory (maybe penalized by paying a small tax). Possession of a military grade musket was encouraged, but possession of other firearms was not prohibited on the frontier. Youse guys don’t get that point of history. DC v Heller 2008. DC denied residents (a) possession of handguns and (b) possession of operable firearms for self-defence in the home. SCOTUS held that the Second Amendment protected individual possession and use of arms for all traditional and lawful purposes.Specific to the case in Heller was the right to have a handgun for self defense in the home. Traditional lawful uses under my home state’s RKBA include a handgun in the home or place of business for self-defense,civilian marksmanship training. hunting, defense of livestock, collection as curio or ornament. Also, common defense may be AGAINST the government, a la the American Revolution. If you think your popguns are going to overthrow the U.S. government, you have severe delusions of grandeur. You have no idea how any of this works do you? The federal government would lose handily against any broad based insurgency in the US. 100 million gun owners with 400 million guns and 3 or 4 trillion rounds of ammunition. As an Army Officer who spent a wonderful time in Afghanistan during President Obama’s failed surge I saw how effective a small number of guerrilla fighters with your “pop” guns can be. The U.S. military is tiny in comparison to the population of the U.S. If a small fraction of the country decided to conduct an armed revolt, say 10% or 35,000,000 people, the military would quickly be overwhelmed. Yes, the military has tanks and jets and helicopters, but not enough nor are they designed for large scale guerrilla warfare. All of our fancy equipment contains massive flaws, by design it is geared to face a near peer enemy in open battle. Our record since WWII is atrocious when facing guerrilla warfare, and would be even worse in so vast a nation as the U.S. especially with so much varied terrain. In fairness, almost everyone’s record is also atrocious (or alternatively, the U.S. record is about average :-)). Armies have struggled with insurgencies since Roman times. Spain was called ‘Napoleon’s Bleeding Ulcer’, and is where the term ‘guerrilla’ originates. I’ve got a two volume history of them (‘War in the Shadows’ by Asprey) and you can count the successes practically on one hand – the Brits in Malaya for example. Insurgencies are a really tough problem. I’m certain you think the Fed Gov will have SAC nuke the major population centers; that’ll show ’em. Nobody here seems to be taking into account the possibility of a Velvet Revolution. You don’t need firearms when you have memes! Unless, of course, there’s someone trying to take your memes at gunpoint. Have you heard of they minor dust-up that happened in Viet Nam? The Constitution specifally prohibits levying war on the United States. So you can’t read the document to grant a right to do that. The Second Amendment SPECIFICALLY refers to defense of the GOVERNMENT (the “free state”). Several quibbles. First, the government cannot be the Free State, if it has become necessary to revolt from its confines. This brings in the Declaration of Independence which specifically does envision the possibility of an armed revolution, because that is what it is, just that sort of justification. The moral justification for our governments is the consent of the governed. If the government no longer has that consent, then it is no longer a Free State, which must be defended, but rather, if the situation becomes dire enough, must be replaced. A “free state” is the people. Remember that name the next time a vacancy opens on the Supreme Court. 20-round magazines were issued because they were having problems producing 30-round’ers which functioned reliably. It was common to load only 28 rounds into the 30 rounders until the got good springs in the mags, and old timers still liked the 20 rounders. I mean, if we can not trust the Crips and the Bloods to comply with the law, whom can we trust? When the 30 round magazine, arm brace, collapsible stock and such finally come, I won’t be turning anything in. This past Tuesday there was a hearing before the Senate Judiciary Committee on the S.506 – Extreme Risk Protection Order Act of 2019. Prof. Kopel was one of the witnesses called by the committee. Except for the occasional grandstanding by Senators on both sides of the aisle, it was quite enlightening. For those interested they can view the video of the hearing, as well as download the testimony by the witnesses. The names of the sponsors alone might give one pause. Reading the text of the bill gives one even more pause. While I consider this type of legislation, if it conforms to Prof. Kopel’s objections, prudent, this bill requires radical amendment. As I suspected, my link formatting _was_ erroneous. The below may, or may not, correct the problem. After submitting this I’ll see, for future reference, if this is correct. A quote from the ruling. That is why mass shootings can seem to be a common problem, but in fact, are exceedingly rare. At the same time robberies, rapes, and murders of individuals are common, but draw little public notice. As in the year 2017, in 2016 there were numerous robberies, rapes, and murders of individuals in California and no mass shootings. The focus on mass shootings has, in fact, been criticized by authors who support gun control laws. See here. Drug related inner city numbers drive up the homicide rate the in the US. The “rich” part of the country compares very favorably. The numbers are misleading. Gun violence across the US is very low. A few hots spots like Chicago, Baltimore, DC, New Orleans. Camden… skew the results. Vermont has almost no gun crime and relatively few gun laws. The vast majority of gun crime is young black and Hispanic males involved in gangs and drugs. They use illegal firearms and obviously ignore gun laws. Creating new gun laws affect only the law abiding. These people are not part of the problem and are left less able to defend themselves. It’s important to note also (for The Guardian readers) that in the UK, even with their knife restrictions, it’s also the gangs that are overwhelmingly responsible for the knife violence. And in the UK, the gangs are also using acid and other household chemicals like lye to attack each other. Banning the weapon is not going to solve gang violence. Not a lot of drive-by knifings, however. Not a lot of drive by shootings using licensed, legally-acquired, guns, either, I’ll bet. Outlaw guns and that will surely change. Gang Violence is not a new concept. They’ll pull over and beat people with baseball bats if the guns magically disappear. Reminder to all the California gun owners who refuse to donate to the NRA because they think the NRA has abandoned California: these lawsuits aren’t cheap, and the NRA is always fighting in Calif. because other states often follow California’s lead in gun control. We owe this judge who obviously did a great deal of work on the decision. In other news, the Alaska decisions were overturned on the basis that they were “arbitrary and capricious.” The Supreme Court has not done its job in reining in trumplaw. How many of his EOs have been overturned by Obama appointed judges on the basis that they we’re “arbitrary and capricious?” Why bother having elections? How long did it take for a gun thread to devolve into calls for revolution and shootings this time? Since I haven’t seen any in this thread yet and yours is the closest reference to it, I’d say rather a long time this time. When reading Sarcasto’s posts it helps to keep in mind Alice’s confrontation with Humpty. Kudos for the Lewis Carroll reference. With so much of current political debate making less sense than Jabberwocky, there can never be enough Lewis Carroll references. I don’t want to be a grump, but that’s just about the most cliched reference on this blog this side of Bingham. Still another example of the need to sympathize with Alice. You’d probably be less grumpy if you had actually read the comments first before posting. I’m always amazed that proponents, opponents or just interested observers of these obviously ineffective bans don’t do some research and determine how many injuries and deaths the law would likely have prevented and how many people would have been injured or died because of the ban. The results are disproportionate to the effort. Of course I know someone will chime and and say it’s worth it is only one life is saved, but on the other hand how many lives will be lost because of ineffective self defense? Because the goal is not reducing deaths or injuries. The goal is harassing political opponents. The same goes for banning rifles with collapsible stocks and bayonet lugs. They want to ban them solely because YOU don’t. It’s that simple. The goal is not to save lives. The goal is to disarm the populace. I agree that’s the ultimate goal, but pure harassment is why they’re willing to ban scary black rifles and not non scary black rifles, at least in the short term. No, the “goal” is socialist utopia with all power vested forever in the socialist party. Civilian disarmament is just one step to that goal. But it is one that MUST be achieved unless the socialists want to end up like Mussolini , swinging from a lamppost by his heels. Wouldn’t it be a wonderful country if every court prima facie rejected any government argument in the vein of “nobody NEEDS this right,” perhaps even optionally awarding a brief prison sentence to any government official who dared make it. But I’m a hopeless visionary. It’s perhaps an indication of what old fogies some of us are that when I saw the headline, I immediately assumed this was a First Amendment case. Judges that have their decision(s) overturned should be forced to return the paychecks they received while making their mistake(s). Most of the 9th circuit would need to declare bankruptcy. I wish the founding fathers had armed ordinary people with better legal remedies to defend themselves from govt tyranny. The writ is mightier than the sword.